This calming bay is named after Elijah Carson, brother to the famous frontiersman Kit Carson, who settled in the Deephaven area in the early 1850’s. 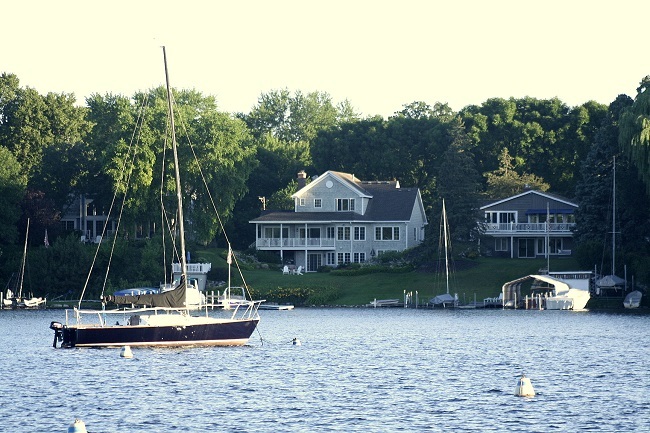 Carson Bay is located southwest of St Louis Bay on Lower Lake Minnetonka. This closed throttle/minimum wake bay is encircled by the city of Deephaven. Grandview Point and Walden Beach are two of the highlights of Carson Bay. Public access with city docks and mooring buoys are located on the south end of the Bay.